Rain, rain, go away | eat. play. sleep. I dropped the girls off at a Mom’s Morning Out program this morning and got a few hours to myself. They were mostly spent cleaning bathrooms and agonizing over who to draft in the first round of my upcoming fantasy football league’s draft. Being the only girl in a league full of guys is a bit intimidating. This year I draft second, which might sound great, but to those who are familiar with fantasy football…it’s challenging! There is one clear first choice, and some semi-clear second choices. What to do?! Emily and I are currently listening to NFL Total Access on NFL Network for some guidance. She seems to enjoy football talk more than Ava, but Ava is learning (although she seems a little to interested in the cheerleaders and their skimpy outfits for my liking). Yesterday, Ava watched with me and when the panel had their 30 questions segment, she answered too. Yes, she thinks that Peyton Manning’s injury will come back to haunt him this season. 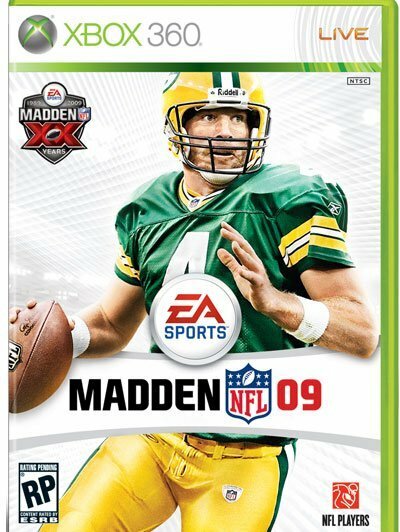 No, she doesn’t think that Brett Farve will escape the Madden curse. It was pretty funny, especially since her answers were in alignment with my favorite guy on the panel, Steve Mariucci. That guy can go off on a tangent like nobody’s business…rather like myself! In a bowl, beat egg; add milk and oil. 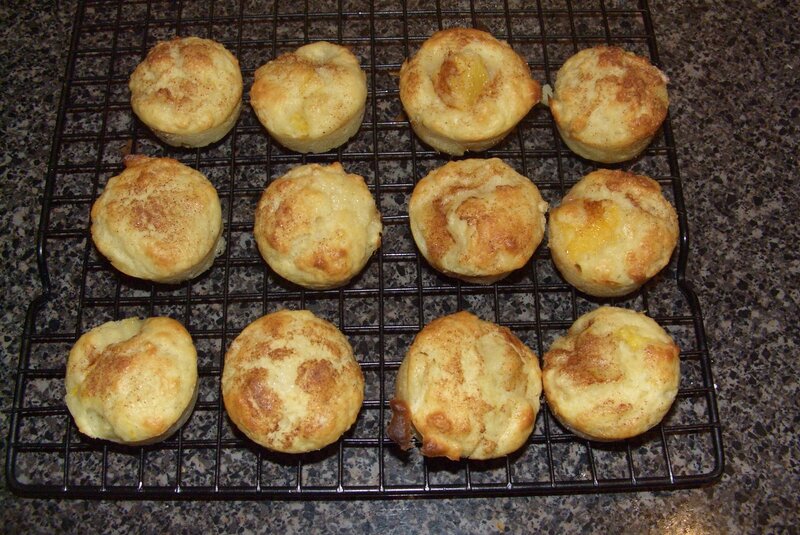 Combine flour, sugar, baking powder and salt; stir into the egg mixture just until moistened. Stir in the peaches. Fill greased or paper-lined muffin cups three-fourths full. Bake at 400 F for 20-25 minutes or until a toothpick comes out clean. Cool for 5 minutes before removing to a wire rack. Notes: Be sure to barely mix the dry and wet ingredients together – if my mother taught me anything, it’s that overmixing will result in a brick-like muffin. 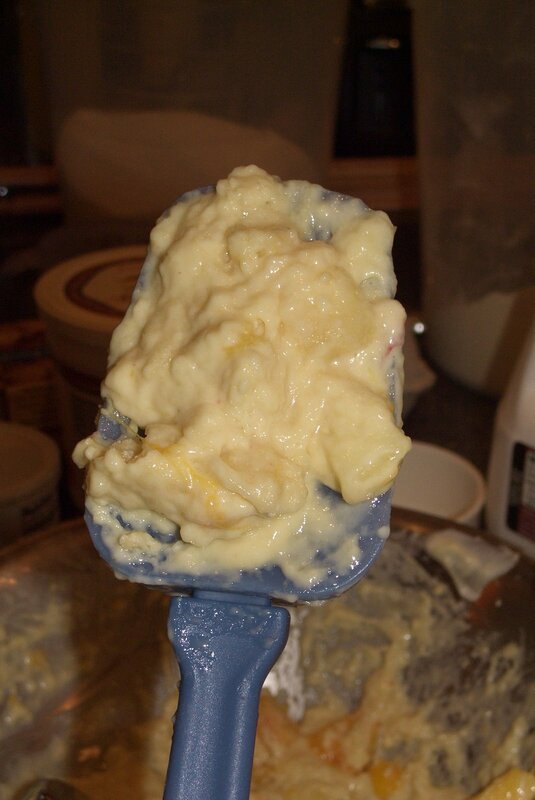 The batter should be light and airy – sort of sponge-like. You can use applesauce in place of the oil, but cut the sugar in half, and taste your fruit. 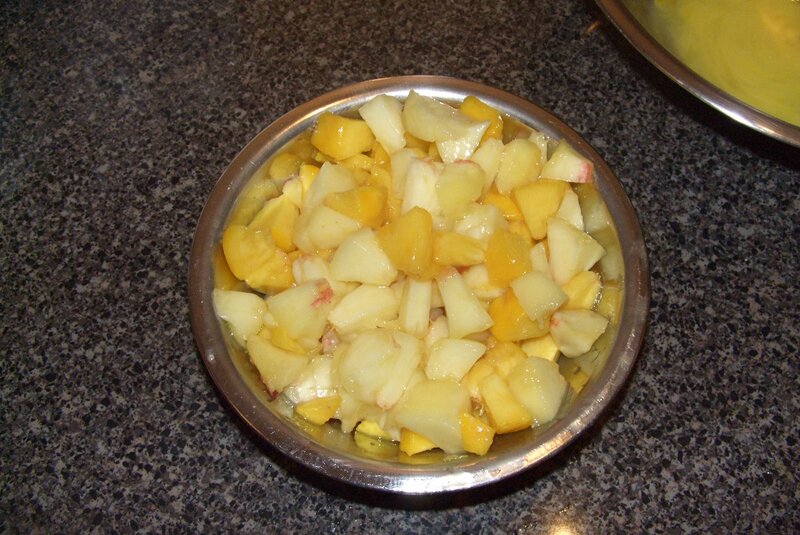 My peaches were pretty ripe and therefore very sweet, so I only used about 1/3 cup of sugar. I’ve really been enjoying this stage of Emily taking one long afternoon nap and Ava not taking a nap – while I’ve definitely lost some “me” time, it’s given me the opportunity to hang out with just Ava, which is something that I have greatly missed since Emily came into the picture. 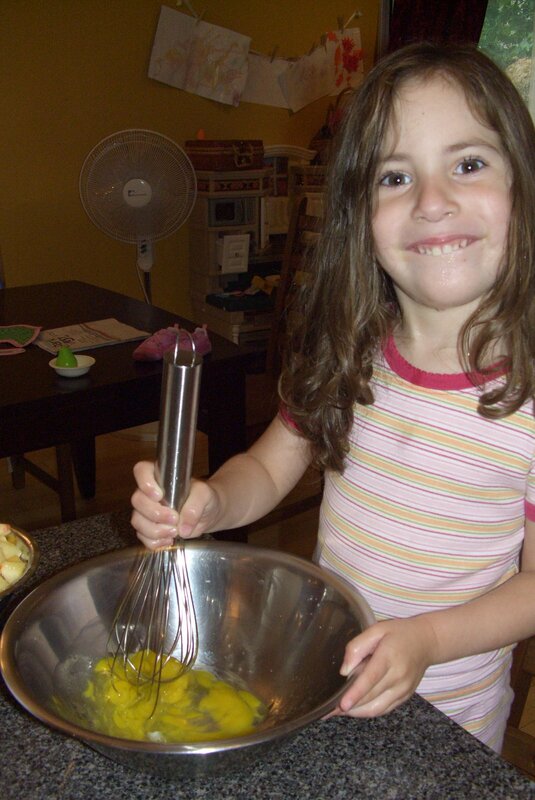 She’s such a cool little person these days (if you ignore the bossy, demanding, drama queen part…), and she loves doing the same things I do – art and cooking. Today, she not only did most of the work on the muffins (“Mama, I don’t mix da batter too hard – bricks aren’t good muffins!”), she also helped me make dinner (Sour Cream Salsa Chicken in the crock pot). We colored some princess pictures (“Mama, dat’s a veery nice picture!”), and read some stories. The best part of the no-nap days: She’s ready for bed at 6. That way, Em gets an hour of just me, and then Joel and I get some nice mommy-daddy time to contemplate the important things in life.